Providing assembly and test equipment to meet the challenges that HVAC systems pose can sometimes be difficult. 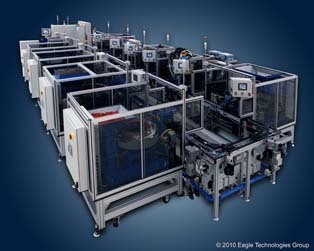 Plastic parts with complex features that require assembly and test that are often difficult to automate. 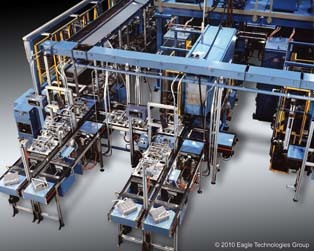 Eagle Technologies has the experience in providing HVAC assembly and test systems to a wide variety of customers. 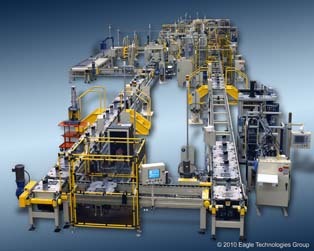 Whether you are looking for a lean palletized assembly system with poke-yoke process monitoring or a fully automated line including automatic functional and vibration testing as well as full system data collection Eagle Technologies has the experience to provide a solution to meet your toughest demands. 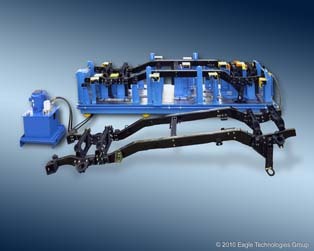 Eagle Technologies can offer testing from simple motion tests to full performance testing. Our experience in Performance Testing includes motor current, actuator velocity, peak torque, vibration analysis, noise and more. 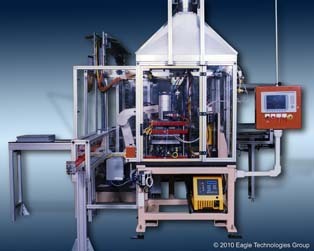 High speed data acquisition test stands are built to provide the most accurate information about your product. Vision systems, laser sensors, and tooling will confirm and provide feedback about the final assembly and its functional attributes. If you are looking for assembly and test…..look no further…..Test Us.